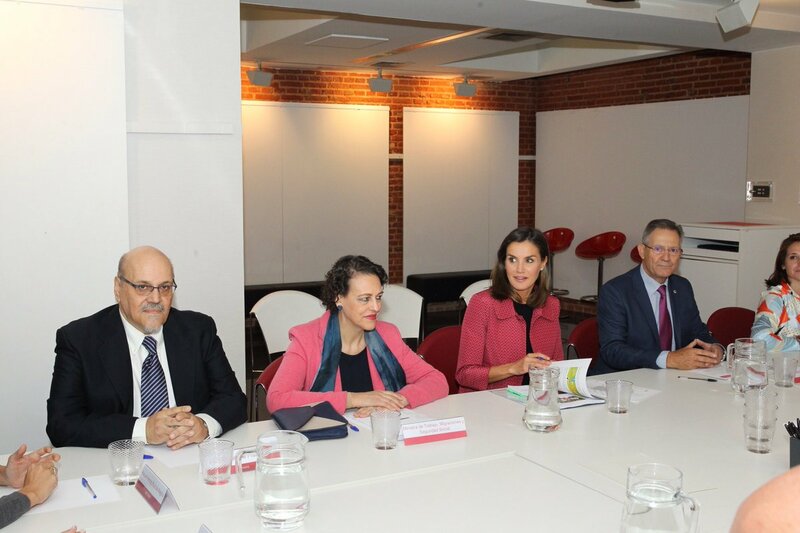 Queen Letizia of Spain had a busy day scheduled with Spanish Red Cross. 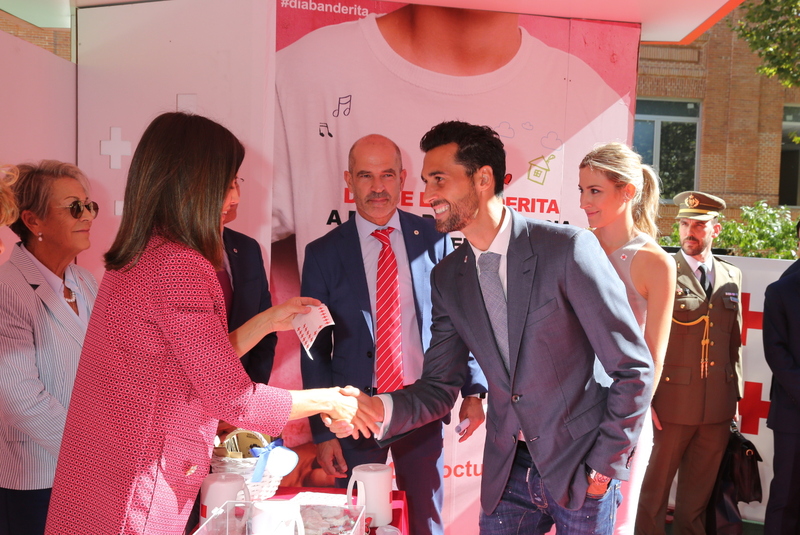 In the morning she attended a round table meeting at the Headquarters of Spanish Red Cross and later in the day celebrating Bander Day with Red Cross teams at Cuestación Table. The Spanish Red Cross is an organization committed to Children and promotes different programs and projects aimed at supporting children and their families, with a wide range of actions, including the protection and care of children at risk or social difficulty, as well as the promotion of their participation and support for the exercise of their rights. The agenda of the morning meeting was “Initiatives of training and employment for young people”, with the objective of facilitating the exchange of experiences among young people, companies and volunteer staff. After the meeting Queen arrived at the Cuestación Table to celebrate Bander Day. 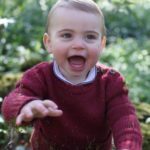 That has been celebrated for over one hundred years and traditionally, members of the Royal Family always participate. The goal of the Red Cross is to facilitate a better future for the children who need it most The motto of this year’s campaign was, “Say yes to childhood”, and is aimed at thousands of children and young people at risk of social exclusion, loneliness or different because of their vulnerability. The campaign provides school material, reinforcement classes, food supplies, basic necessities, hospital animation, psychosocial support etc to those kids. 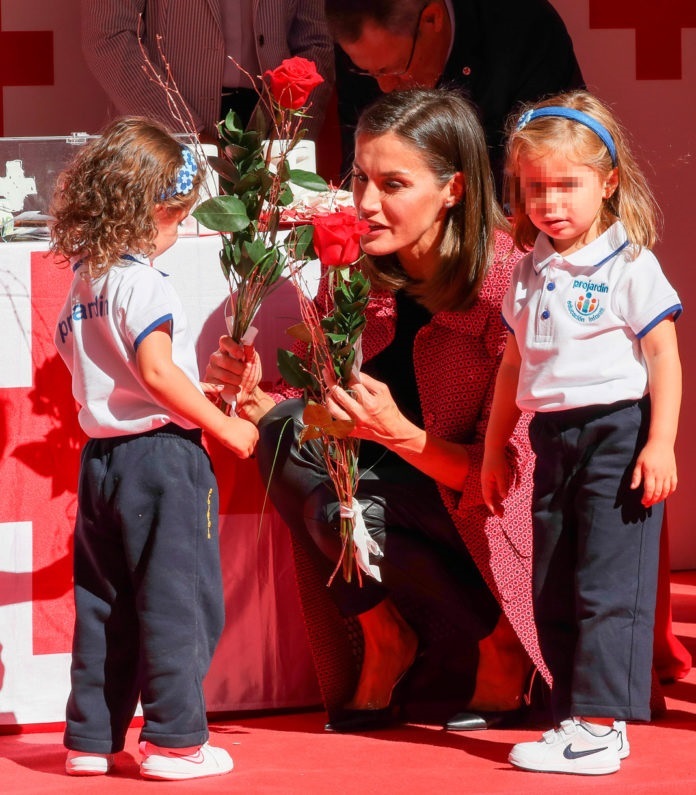 Letizia was presented with flowers by young girls. 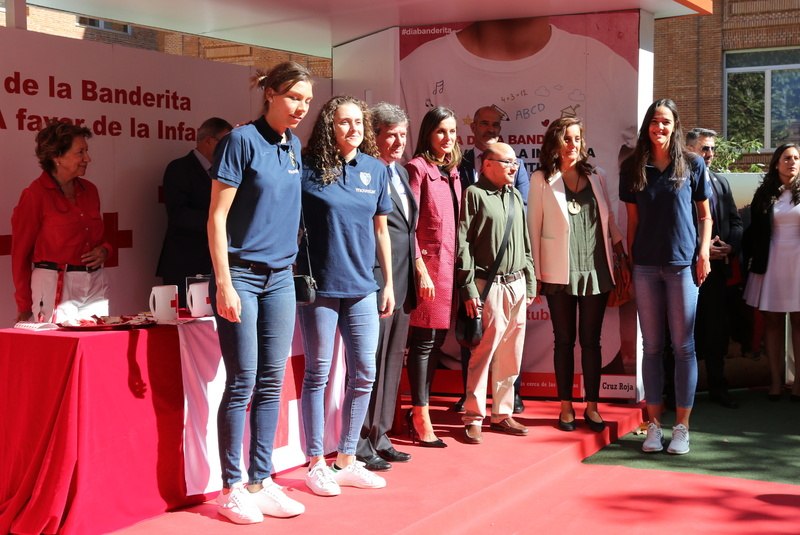 Queen with Staff and volunteers of Spanish Red Cross. 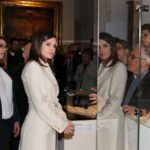 Now to what Letizia wore – keeping her looks minimal, Queen brought the familiar pieces of her wardrobe back. She was wearing a rose coat with geometric print from the Italian label Atos Lombardini. 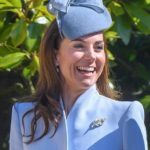 We first saw the glimpse of the coat in May 2018 during Princess Girona Foundation meeting held at the palace. 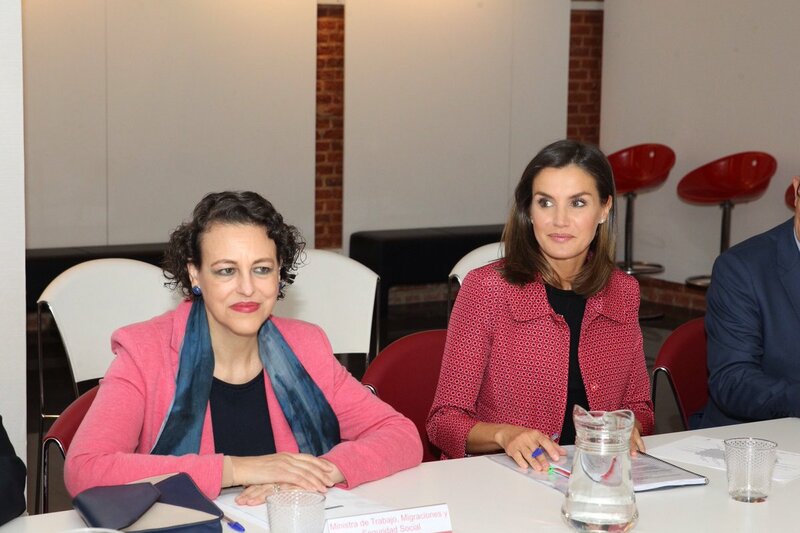 Later the Queen wore the coat at International Seminar on Language and Media in the same month. She paired the coat with black Hugo Boss top and black Uterqüe leather leggings. Letizia was wearing her black Nappa leather pumps with vinyl detailing from Magrit that she first wore in May to welcome Columbian President and First Lady to the Palace and carried Carolina Herrera clutch. Her trusty Chanel earrings completed the look. 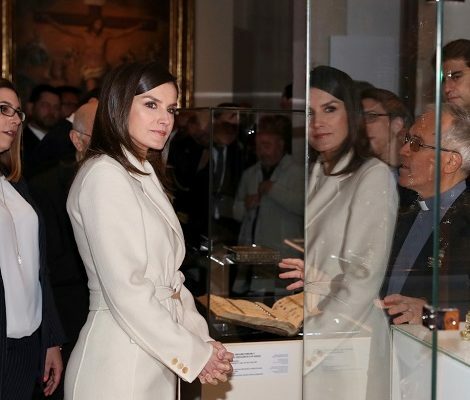 Tomorrow Felipe and Letizia will visit Paris to see an exhibition and later in the evening will attend a dinner hosted by French President and First Lady.